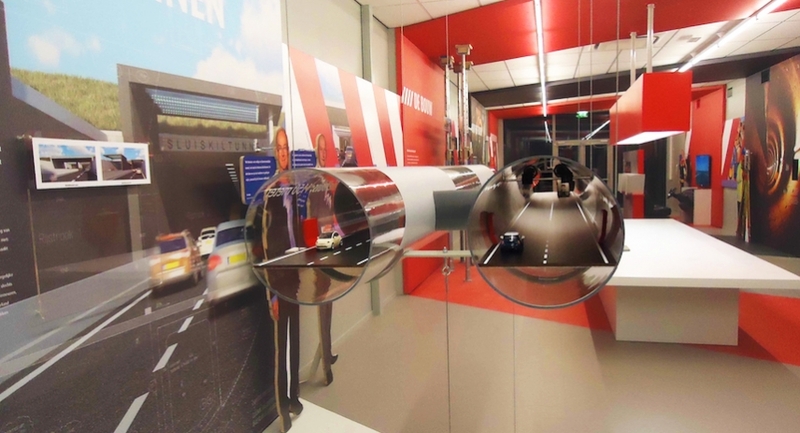 Totems designed an interactive visitor center for the Sluiskiltunnel, a large tunnel project located in Terneuzen in Zeeland, the South-west of the Netherlands. The center provides a space for residents and visitors to get information about the construction process of a large new highway tunnel system. The exhibition takes you on a step-by-step journey through the stages of the development and the construction process. 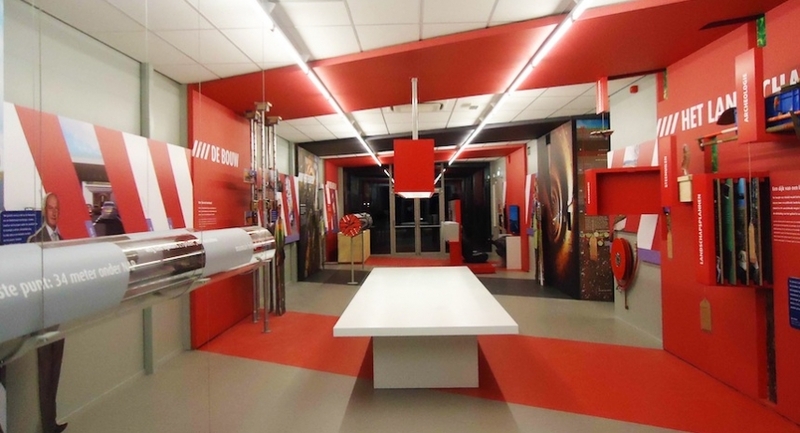 At each stage, appropriate informative and interactive exhibits are designed to explain the process. Furthermore visitors can look at a model of the tunnel drilling, an overview map and other surprising exhibits, one of which makes the visitor feel like they are in the tunnel themselves.